The 1919 Reunion, held on 3 August at the former CEM Preparatory School in Shanghai, was a particularly nostalgic occasion. It was noted that the men’s combined ages amounted to around 1,000 years. 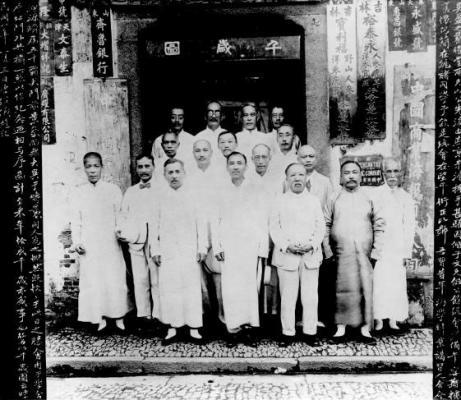 The Chinese inscription on the margins was written by Tang Shao Yi, one of the chief organizers of this gathering.